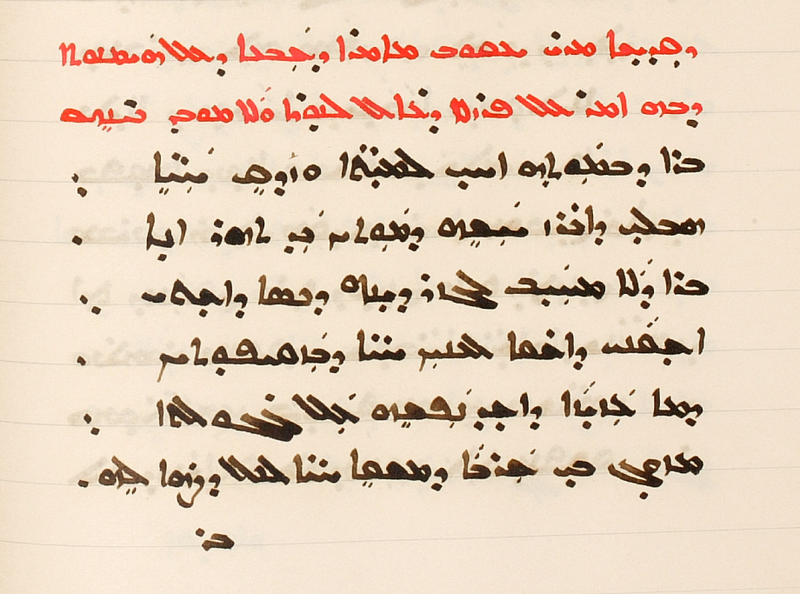 Here is a simple scribal note on a page of manuscript 152 of the Church of the Forty Martyrs, Mardin (CFMM), a book dated 1780 AG (= 1468/9 CE) and containing mēmrē attributed to Isaac, Ephrem, and Jacob. On p. 59, where the date is given, in addition to the name Gabriel, which also occurs in this note, we see the name Abraham as another partner in producing the manuscript, which was copied at the Monastery of Samuel. 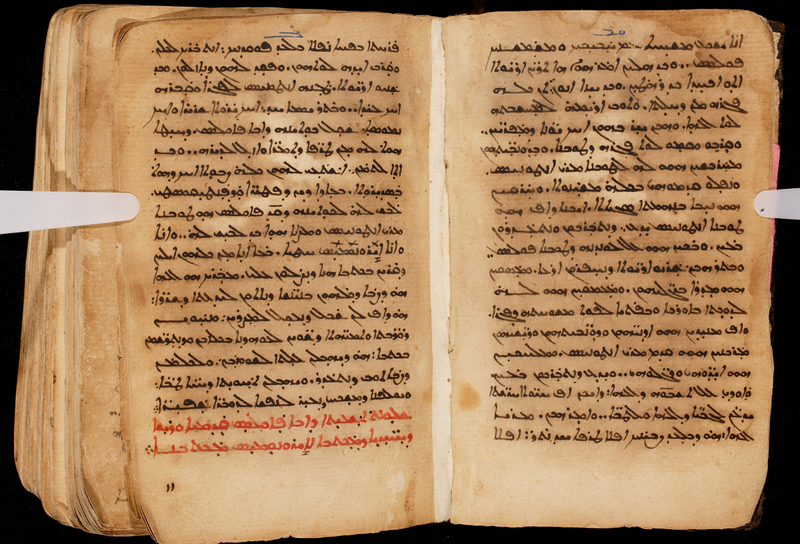 Here’s the Syriac and an English translation, followed by a few notes for students. Whoever comes upon and reads [this note], let him send a prayer for Gabriel, who has fallen into these sufferings and has written this page-spread as a memorial and due to a longing for a prayer for the forgiveness of [his] sins. The verb pgaʿ, semantically similar to Greek ἐντυγχάνειν, often means “to read” and is commonly paired with qrā in notes and colophons. šmr D + ṣlotā means “to direct, send, utter a prayer”. ḥaššē may not refer to any specific pains or illness. Scribes are generally all too happy to remind their readers that it was in difficult circumstances — of environment, body, mind, etc. — that they wielded their pens! ptāḥā means “the opening” (ptaḥ to open), that is, the two-page spread of an open book. The purpose, commonly mentioned in notes and colophons, of Gabriel’s copying this book is to remind readers to pray for his sins. Let the reader understand, be informed, and advise [those] near him and everyone that they should give glory to the Son of God, who receives the repentant, who saves his church from drowning in sins and from eternal damnation. Let the reader understand cf. Mk 13:14, ὁ ἀναγινώσκων νοεῖτω. 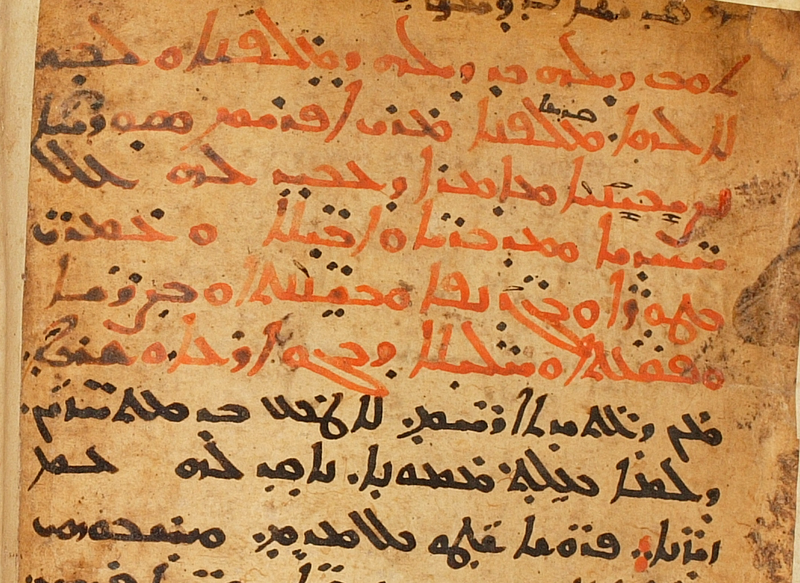 al-muḫalliṣ might better be read without the article, in construct with kanīsatihi, but here the latter word is vocalized kanīsatahu (ACC, not GEN), and so the writer clearly had a verbal (“saving, one who saves [X]”), rather than nominal (“savior [of X]”), function in view for the participle al-muḫalliṣ. ġarīq here seems to = ġaraq. drowning in sins (or the like) is a common expression; another example is in this post. 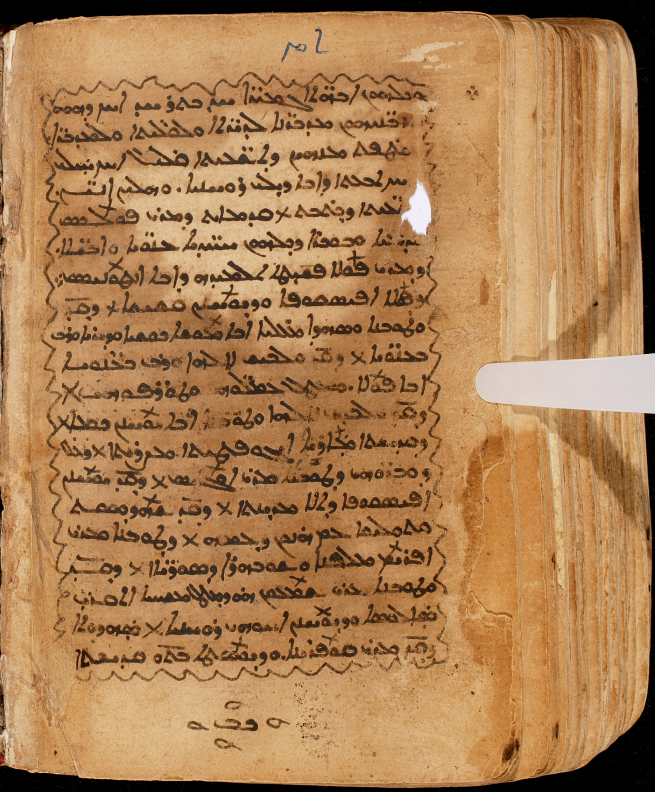 In some Christian traditions, today is the commemoration of Jerome, so I thought of a Syriac text connected with Jerome that I cataloged some time ago. In CFMM 261, pp. 3-13, there is Jerome’s Life of Paul the Hermit, the Latin text of which is in PL 23, cols., 17-30 (ET here). 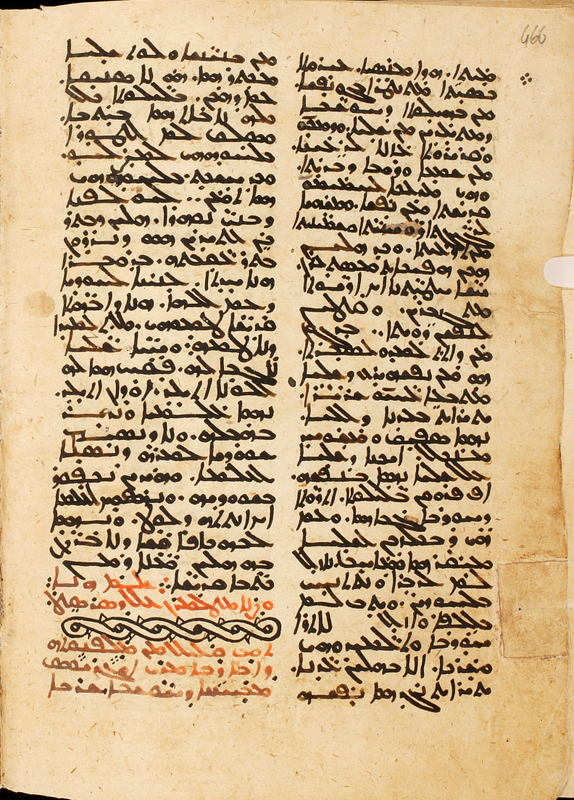 See BHO 909-916 for Coptic, Armenian, Syriac, and Gǝʕǝz versions. 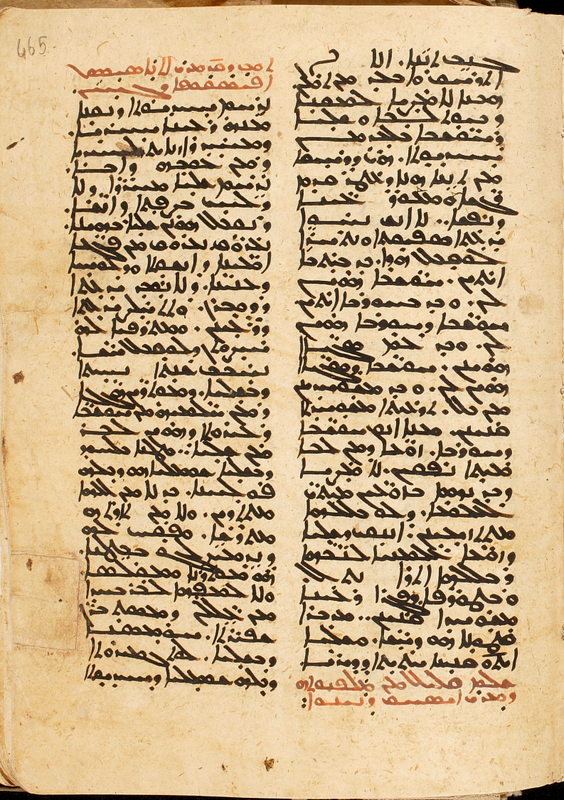 The Syriac text* has been published in Bedjan’s Acta martyrum et sanctorum 5: 561-572 (here at archive.org), and the text also appears in The Book of Paradise (ed. Budge, vol. 2, pp. 242-251; online here). The beginning of the CFMM text is missing, but the identification of the work is sure, not least thanks to the end of the work (see below). I have not closely compared the printed editions with this witness from CFMM, but, unsurprisingly, even a quick look reveals some differences. Only considering the end of the work we see that CFMM 261 has six lines that are absent from the texts of Bedjan and Budge. 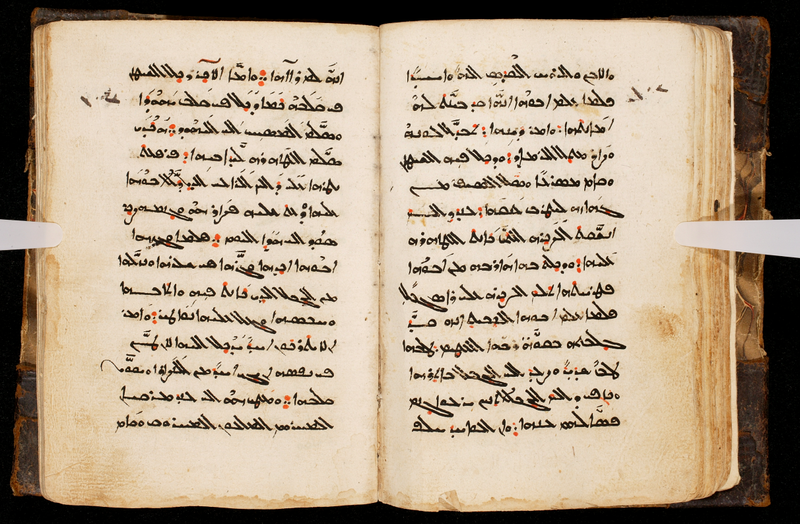 *Bedjan’s edition of this text is based on these two manuscripts: Paris syr. 317 (Chabot, “Notice sur les manuscrits syriaques de la Bibliothèque nationale acquis depuis 1874, JA IX, 8 (1896): 264-265; Nau, “Notices des manuscripts syriaques, éthiopiens et mandéens, entrés à la Bibliothèque nationale de Paris depuis l’édition des catalogues,” ROC 16 (1911): 287) and BL add. 12173 (Wright, Cat., pp. 1070-1072). 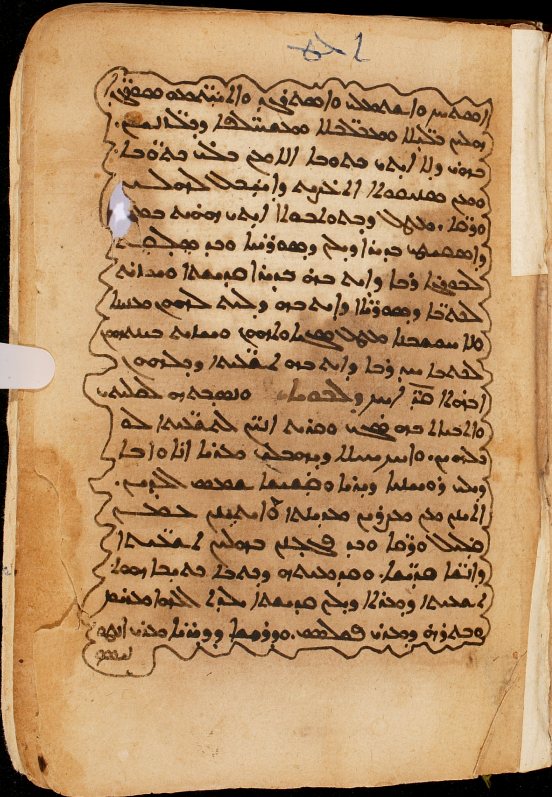 CFMM 261 (olim Dayr al-Zaʿfarān 116; cf. 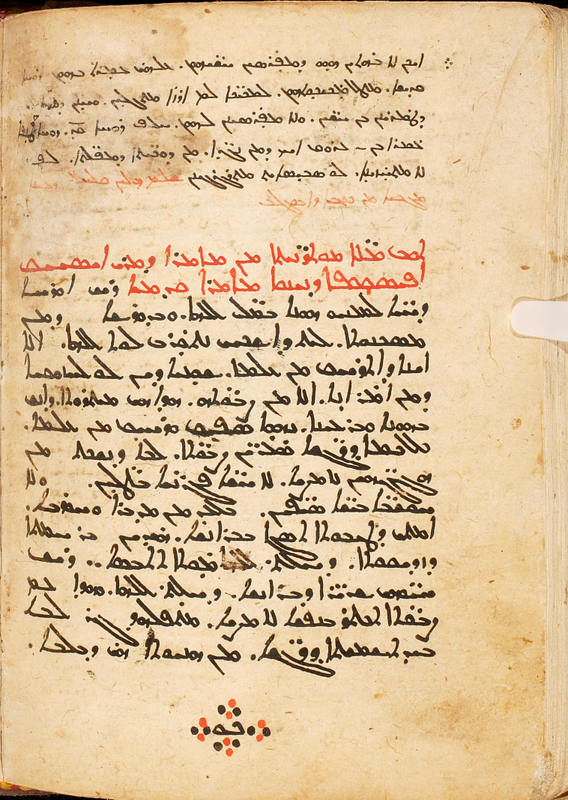 Dolabani, Dayr al-Zaʿfarān catalog, pt. II, pp. 86-88) has an original part, along with some later additions on pp. 441-464. The original colophon (see below, with translation), coming at the end of quire 22, pp. 439-440, is incomplete and lacks a name and date, while the date of the later part (1757/8) is on p. 464. The original part is perhaps of the 16th century. A careful comparison is necessary, but the contents of CFMM 261 and the list of stories in the colophon are very close to the original contents of BL add. 14732 (Wright, Cat., pp. 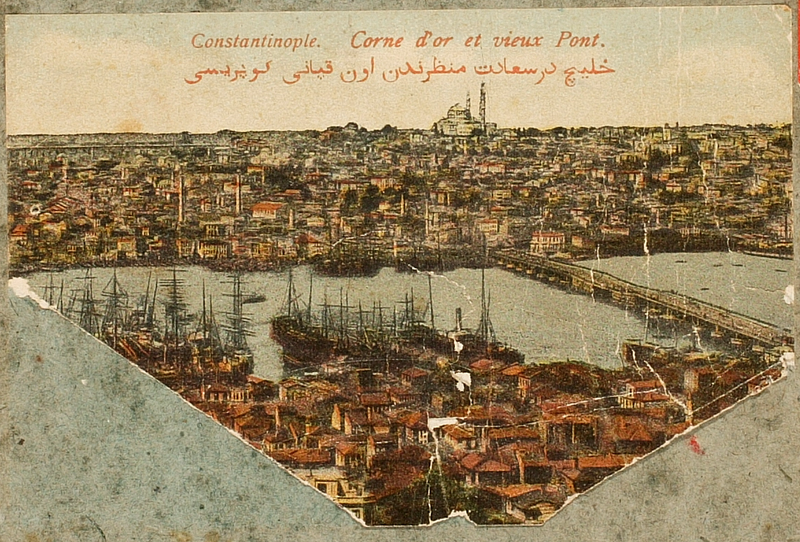 1141-1146). 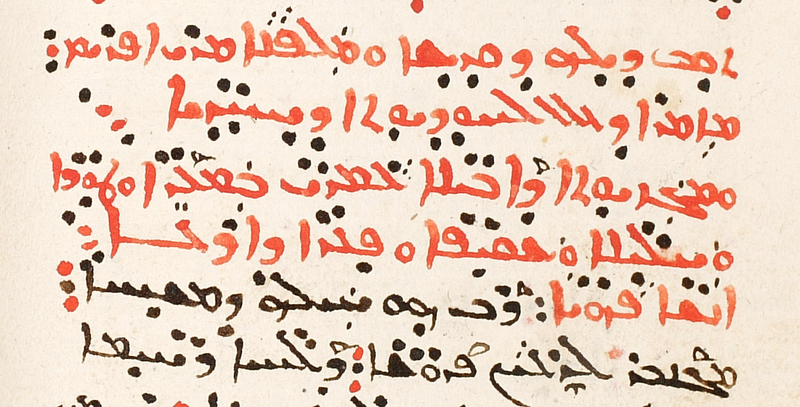 As the scribe says in the colophon, he found his exemplar for this manuscript among the Syriac books of Dayr al-Suryān, which ceased to have a major Syriac presence in the early seventeenth century (L. Van Rompay in GEDSH 386-387). 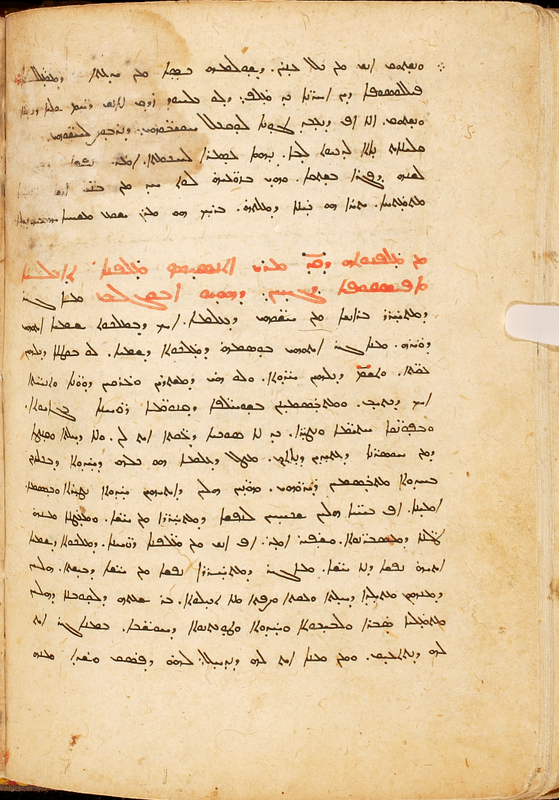 Here are the last two pages of Jerome’s Life of Paul the Hermit in the CFMM manuscript. And now the colophon, which will be of interest to readers well beyond those concerned especially with Jerome, together with an English translation. Adam Kamesar, Greek Scholarship and The Hebrew Bible: A Study of the Quaestiones Hebraicae in Genesim, Oxford Classical Monographs (Oxford: Clarendon Press, 1993). Daniel King, “Vir Quadrilinguis? Syriac in Jerome and Jerome in Syriac,” in Andrew Cain and Josef M. Lössl, eds., Jerome of Stridon: His Life, Writings, and Legacy (Farnham: Ashgate, 2009), pp. 209-223. Stefan Rebenich, Jerome, The Early Church Fathers (London: Routledge, 2002).